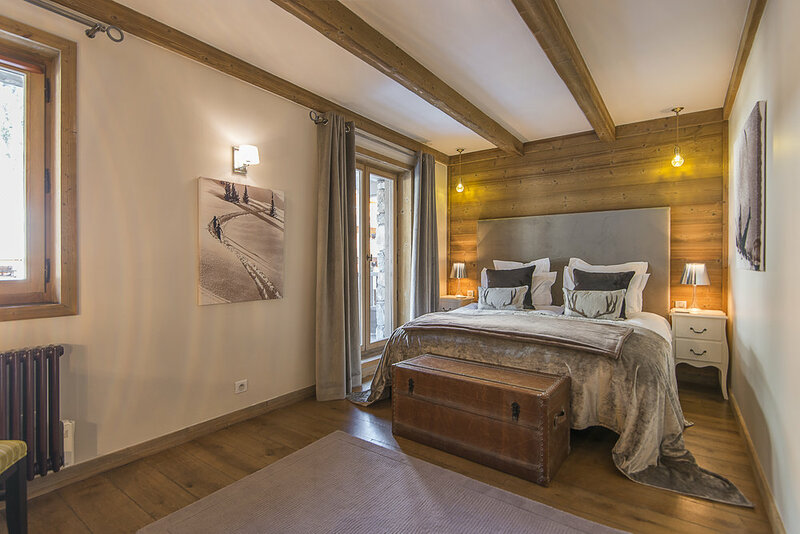 Chalet de la Cloche has 8 double en-suite bedrooms, two of which are self contained in the well appointed ground floor apartment. Each room is luxuriously finished with super king beds, Tempur memory foam mattresses and flatscreen TV's with UK satellite services. In addition, every room has a bath equipped with Hermes amenities, Bluetooth speaker system, ample storage space and a well lit dressing table. The beds are completely customisable to accommodate singles or doubles and can be made up with goose down duvets and pillows or hypo allergenic if you prefer. The bedrooms brim with comfort; everything from 1000 count Egyptian cotton bed linen to a huge pile of fluffy towels and a cosy robe and slippers. Everything is there to ensure that everyone is fully rested for another action packed day on the slopes.